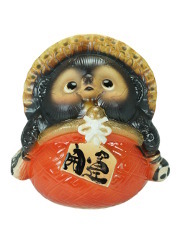 The Tanuki (タヌキ or 狸) is one of the yōkai, spirits of the forest in the Japanese mythology. 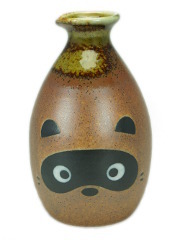 Tanuki are inspired by Japanese racoon dogs (Tanuki in Japanese) which look like a racoon or a badger. The animal has been significant in Japanese folklore since ancient times. 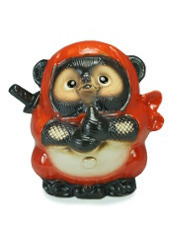 The legendary tanuki is reputed to be mischievous and jolly, a master of disguise and shapeshifting, but somewhat gullible and absentminded. It is also a common theme in Japanese art, especially statuary. 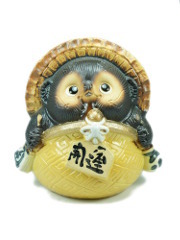 Symbol of luck and prosperity, they have been present in Japanese tales since middle age and are still very popular in Japan. 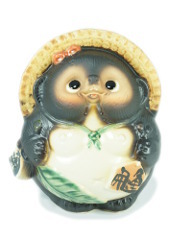 Tanuki are heroes in the movie “Pompoko” by Isao Takahata. 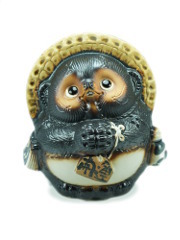 In Japan, you will often find a Tanuki as a decorative item of restaurants with Maneki Neko and Daruma. 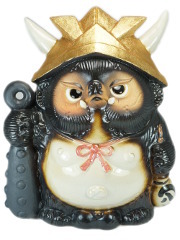 The image of Tanuki might have been developed during Edo period. 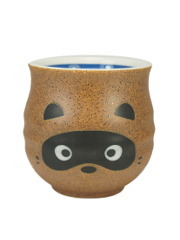 For centuries, the ceramists of Shigaraki have made representations of Tanuki in terra cotta. 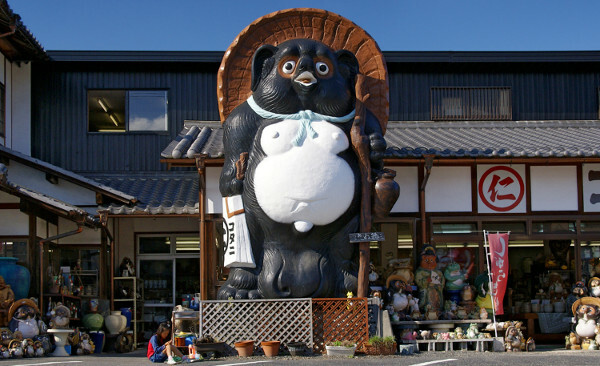 Statues on this shop are all made in Shigaraki and respect the ancient features of the mythology : a straw hat made of rice, sake flask, big belly and huge scrotum. 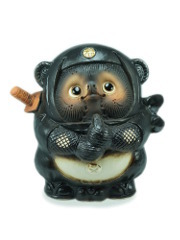 The story told us that Emperor Hirohito visited the city of Koga near Shigaraki in 1951 and was welcomed by aisle of Tanuki statues with Japanese flags. 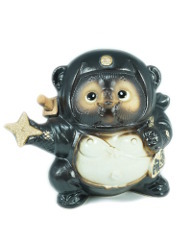 The Emperor was so touched that he wrote a poem about Tanuki. 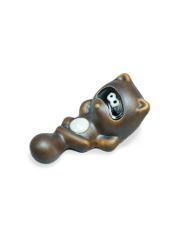 Then, Tanuki became popular once again in Japan. One more characteristic is their inflated belly they can use it as a drum during the night. 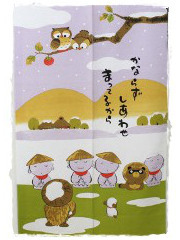 The sound of the drum makes the onomatopoeia “Pompoko”. 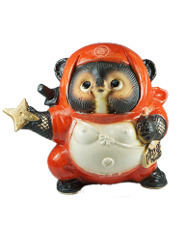 The Tanuki is always considered as a symbol of good luck in the Japanese customs, like the cat and the fox. Its well-rounded appearance and its big testicules are seen as wealth and success signs. Big statues are often put in front of the houses or restaurants as a lucky symbol. 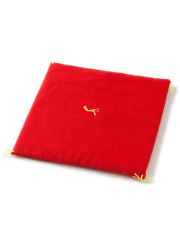 We assure you a perfect wrapping and packing for these fragile items. Do not hesitate to contact us if you have any question. 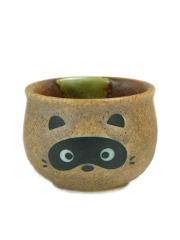 Dimensions : 6cm / 2.4in Chopstick holder made of ceramic in Japan.